Eleven lakes are scratched into the earth just south of Lake Ontario. The longest is 66 miles from north to south. The widest is only 3.5 miles across. The deepest lake drops to over 600 feet, among the deepest in North America. The lakes are separated by graceful mountains creased with crystal-clear rivers and creeks. 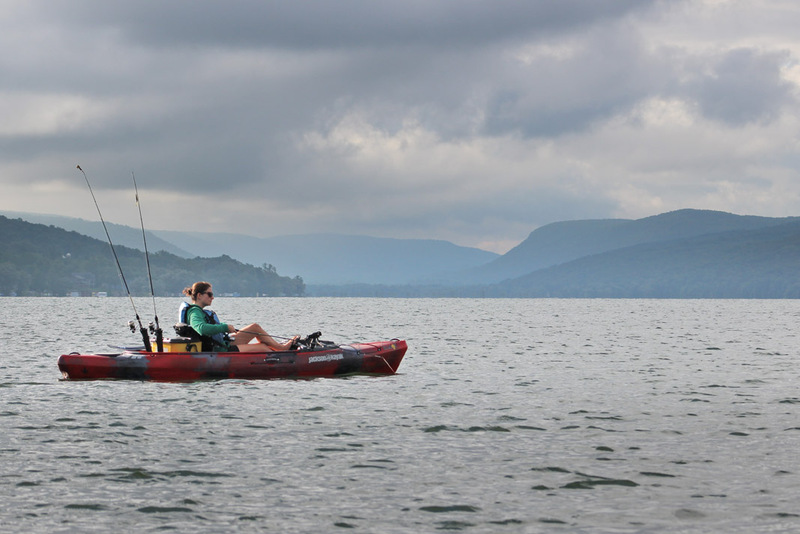 The waters of the Finger Lakes host trophy walleye, bass, musky, pike and trout. You could fish all summer and never visit the same place twice. Rarely will you see another angler. On land, the history covers the Mohawk people, Revolutionary War, Underground Railroad and the Erie Canal. With rolling mountains, clean air and plentiful wildlife, homegrown food and hospitality are the area’s big draws. For hundreds of years, people have escaped the big city for the Finger Lakes. One visit and you’ll know why. Smallmouth and largemouth bass, northern pike, muskie, walleye and lake trout. April and May is primetime for pre-spawn smallmouth bass on shallow banks or under cover. Summer’s weed mats hide big largemouth. Northern pike haunt the shadows year-round. For muskie, throw a shiny buzzbait or spinner-bait. Jig bass on the rocks in the early season with Project-Z Flip-n-Cast jig. During the summer, entice bass out of the weeds with a Live Target Hollow-Body Frog. Use heavy 50-pound braid to pull big bass out of the grass. Prepare to fish rivers and lakes. The lakes are narrow so there’s always somewhere to hide from the wind. Pack a full-size sit-on-top with high-low seat and plenty of storage for tackle and rods. Add an anchor trolley and fishfinder. 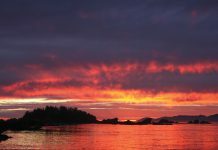 Expect to fish before dawn and after dark, always carry a white navigation light. Make the centrally-located Waterloo Harbor Campground base camp. The staff know the area and can suggest a game plan based on the season and species. Launch onto the historic Erie Canal system and fish the locks for smallmouth bass. Then bounce from lake to lake, each has its own personality, explore as many as possible. Check out www.dec.ny.gov for a list of launch sites. 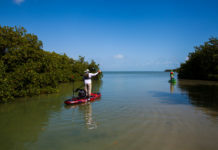 Kayak and canoe rentals and sales along with rigging and tackle. Local fishing team keeps its thumb on the bite. The world’s largest tackle store. The best local beers and wines and a menu that changes with the season. Camp staffed by fishermen, right in the middle of lake central.